The car and apartment both quickly caught fire. Five people, including three children, were taken to the hospital after a car crashed into a Rancho Cordova apartment building Saturday. Police were stopped at a red light behind a black Dodge Challenger, when the driver of that vehicle spun its tires and took off through the red light on Zinfandel Drive. 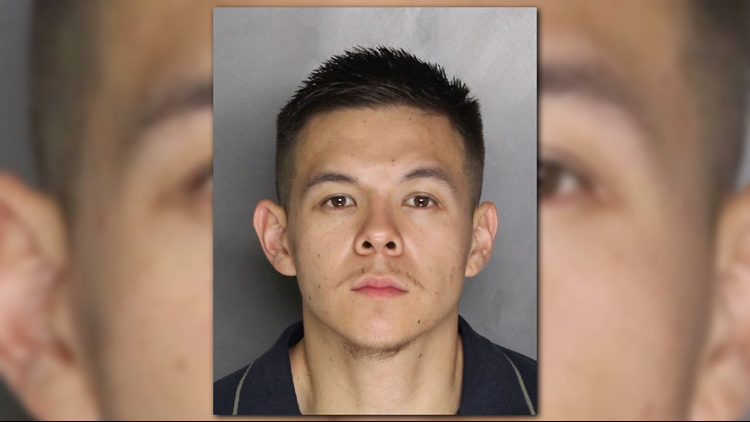 Officers turned on their lights and sirens and began searching for the Dodge before losing sight of the car near the intersection of Folsom Blvd. and Zinfandel Dr.
Officers turned off their emergency lights, but continued looking for the Dodge. Residents began pointing in the direction of where the Dodge went as it sped by, to police. Eventually officers made their way to an apartment complex in the 2100 block of Zinfandel Drive, where they discovered the Dodge had crashed into an apartment. The car and apartment both quickly caught fire. The two suspects ran away after the crash but were eventually found and taken into custody. The driver has been identified as 21-year-old Benjamin Mena. Mena is facing charges related to possession of methamphetamine for sale, commission of a felony while released on bail, and felony evasion of a peace officer. Three children, ages 2, 4, and 7 years old, were inside the apartment at the time of the crash. All three were taken to a local area hospital with minor injuries.